Perhaps nothing makes a farm feel more like a farm than animals. They set the pace of the day, and they provide rhythm, activity, manure and (hopefully) income. Animals, one could say, are the life. Of course, as an urban farmer, your animal options may be limited. Space is a factor, and in many areas, there are restrictions on what kinds and how many animals you can have. Here are six animals suited for city life: Maybe you’ll find one that could provide you a little extra income, fertility and, let’s be honest, entertainment. 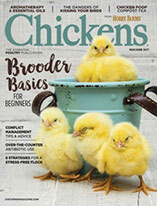 Chickens are the most obvious and most popular choice for the urban farmer. Relatively quiet animals (the hens are, at least), they produce highly sought-after products—eggs, meat and more chickens—and are becoming increasingly legal in many cities. 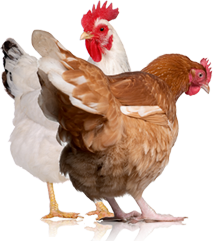 To boot, chickens also create a nitrogen-heavy manure, which can make an excellent natural fertilizer when mixed into compost or soil. The Cornish Cross, the Red Ranger and the Freedom Ranger are the best backyard meat breeds, whereas there are countless excellent laying breeds: Black Australorp, Easter Egger, Barred Rock, Rhode Island Red, Buff Orpington … the list goes on. To make a profit from your backyard flock, you can raise them for meat or eggs, but also consider raising them for the chicks. 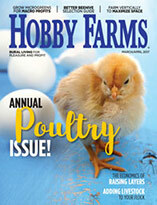 Four- to 6-month-old pullets––that is, hens that are not yet laying––can often go for $10 to $20 each. An urban farmer could make a decent living just selling these young birds to other urban farmers. Why more urban farmers aren’t raising rabbits is a bit of a mystery to me. Although they can be used for fiber or breeding, their most profitable product is often meat and many people may feel intimidated by—or simply not interested in—raising such a cute creature then hauling it off to slaughter. That being said, a young rabbit can get to butcher weight in just 12 weeks, which rivals chickens in terms of speediness. Raising rabbits takes good organization, but their upkeep is relatively simple, and the upfront investment can be much more reasonable than larger animals: less fencing, smaller pens, less feed, cheaper breeding stocks. Moreover, many rabbits can be produced in a very small area—hundreds of rabbits a year in your average backyard if planned accordingly. For meat breeds, consider raising Champagne d’Argent, New Zealand, California, Creme d’Argent or a combination. For pet breeding, the Lops, Dutch and Miniatures are very productive and very adorable. Then, of course, if meat and pet rabbits are not your thing, there are angora rabbits, whose hair can be harvested regularly and mixed with other fibers or sold in bulk for blending. Depending on your market, free-range duck eggs sell for upwards of $1 a piece right now. In Nashville, Tenn., in 2015, they were spotted for $1.50 each or $18 a dozen. Now, ducks don’t always produce quite as many eggs in a year as your average chicken, but their yields come close. In fact, some people argue that Indian Runner ducks can out-perform chickens in egg-laying. Ducks also make better garden companions than their poultry cousins, and even the laying varieties produce decent meat and duck fat. Some good, small-scale breeds include the aforementioned Indian Runners, Rouens, Khaki Campbells and Blue Swedish. The classic White Pekin is also an excellent dual-purpose breed. Purchase some decent feed along with a kiddie pool, and you’ll raise happy ducks. Quail are a rather underrated animal. The most common breed, the Bobwhite, can mature in 16 weeks and start laying after 24. Quail can also live in a fairly small area, as long as it’s covered and kept clean. “A 2’ x 2’ x 8’ pen could comfortably house 20 to 25 quail,” Carla Emery notes in her classic book, The Encyclopedia of Country Living (Sasquatch Books, 40th anniversary edition, 2012). Quail will not likely brood their own chicks in captivity, however, so it’s a good idea to have an incubator if you plan to earn a profit from your endeavor. Some quail breeds, such as the Coturnix, can produce four to six eggs a week, which can sell for up to 50 cents an egg, suddenly making quail a profitable fowl for small spaces. Pygmy goats aren’t just cute, though they are definitely that: They can also make great dairy or meat animals. In an urban setting, it might be hard to keep the larger dairy and meat breeds due to lack of space, but a pygmy goat requires less of everything, as they are generally 1/2 to 3/4 the size of your average dairy or meat goat. But that doesn’t mean they are poor milk producers. Nigerian Dwarfs are said to produce anywhere from 1 pint to 2 quarts of milk a day, depending on feed quality and the goat. And although they are small, pygmy goats have been used as meat animals around the world and especially in Africa for many years. In the case of meat production, a castrated male, aka wether, of any dwarf variety would work well. You also have the option of raising dwarf fiber goats, like the Pygora or Nigora, which produce a nice angora wool. Of course, no one is going to begrudge you for just keeping some pygmy goats as fine manure-producing pets either. If your property isn’t big enough for cattle, that doesn’t mean it’s not big enough for Dexter cattle. These are naturally small, squat animals that have an excellent feed conversion rate and can double as milk producers. Dexters require about 1/2 an acre of good green grass per animal or 12 to 15 pounds of hay and a little grain each day, so while you might not find Dexter in the city center, they could be a good fit for outlying suburbs. According to Hobby Farms writer Sue Weaver, a grass-fed Dexter steer will grow to finishing weight in 18 to 24 months. Dexter can give 1½ to 3 gallons of 4 percent butterfat milk daily, can produce nearly 500 pounds of meat. Those are pretty attractive numbers for an urban-raised animal.